Lumbar diskectomy is one of the most common spine procedures performed today. After a small incision over the lumbar segment that has the herniation, a small opening is made in the bone of the spine (called a laminotomy). The spinal sac and nerve are visualized, gently retracted, then the disc herniation is located and removed. 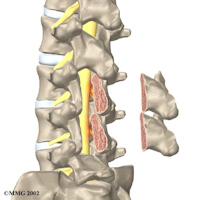 Kyphoplasty is a procedure used to treat painful fractures of the lumbar and thoracic spine. Typically, compression fractures are due to osteoporosis, but tumor induced fractures can also be treated using this procedure. The procedure is usually done as an outpatient and involves injection of spinal cement into the fractured vertebral body. Lumbar fusion means fusing across the disc space and facet joints of the lumbar (or thoracic) vertebra. Fusion across the disc space is accomplished by either a TLIF, XLIF or PLIF approach, then, instrumentation ( titanium rods and pedicale screws) is inserted in order to stabilize the spine while the fusion heals over 3-6 months. Often the hardware can be inserted through a minimally invasive percutaneous approach. TLIF – Trans-Foraminal Interbody Fusion. PLIF – Posterior Lumbar interbody Fusion. Trans-Foraminal Interbody Fusion (TLIF) or Posterior Lumbar Interbody Fusion (PLIF) are both posterior methods to do a lumbar fusion. 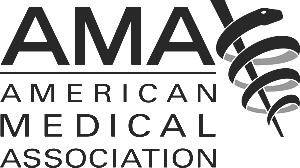 Both procedures require a laminotomy (or laminectomy), diskectomy with subsequent insertion of an allograft (either donor or PEEK) and / or autograft (patient’s own bone)into the disc space. Over time, the two lumbar segments fuse and become one segment. Instrumentation (usually titanium pedical screws) is often inserted to help stabilize the segment while the fusion takes place. XLIF – DLIF – Lateral Interbody Fusion. XLIF or DLIF (Lateral Interbody Fusion) is another way to do a lumbar fusion. Instead of inserting a PEEK allograft via a posterior approach (like, TLIF or PLIF), the allograft is implanted laterally (through the right or left side of the disc space). The procedure can only be performed at L4L5 or higher levels and requires dissection through the psoas muscle. After the diskectomy and placement of the DLIF or XLIF graft, instrumentation is then usually put in (either via a lateral titanium plate or posterior pedicle screws). ALIF – Anterior lumbar Interbody Fusion. As opposed to TLIF and XLIF, ALIF fusions are done from the front (anterior through an abdominal incision). After making an incision at or below the belly button, the abdominal contents (intestine, ureters, iliac arteries and veins) are moved to the side and the disc space removed. Then an allograft or autograft are inserted. 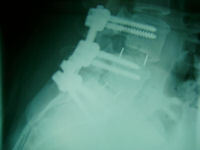 Often a titanium plate and screws are then inserted. X-STOP is a lumbar spinous process distraction device that is used to treat lumbar spinal stenosis. The device is an indirect decompression device that relies on distraction between the lumbar vertebra in order to open the spinal canal and hence decompress the spinal nerves. However, X-STOP is indicated in patients with mild to moderate stenosis symptoms only. Microdecompression surgery is better for patients with more servere symptoms. ADR is placed through an exposure similar to the ALIF. Insead of pulling in a graft for fusion , an artificial disc is implanted. The two currently FDA approved ADR’s are Charite and ProDisc. Both of these artificial disc’s have the potential to maintain motion at the implanted segment. Fusion with Cages & Screws. For back pain and rediculopathy.